Meet the all-new Hyundai Accent in Nashua, at our showroom. This compact car comes with a plush interior and state-of-the-art infotainment options. We are proud to showcase the new Hyundai Accent at our Nashua dealership. Just refine your search based on color, pricing, and trim while you browse through our inventory. This car also comes with advanced safety features and navigation system. Whether it is going out of town over the weekend or picking children from school, you have got it all covered, thanks to the new Hyundai Accent. Our Nashua dealership offers a large selection of new vehicles in addition to this one. We also offer attractive and flexible financing options for you to choose from. Visit our dealership to test-drive the new Hyundai Accent. Nashua drivers will certainly be tempted to drive it back home. Nashua Hyundai is where your search ends when it comes to finding a renowned dealership. 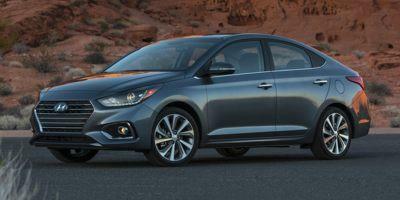 If you are thinking of buying or leasing the new Hyundai Accent in Nashua, consider us. A lot of customers prefer us because of our great customer service, large selection of vehicles and more. We understand that owning and maintaining a vehicle involves a lot of investment and efforts. That’s why we have a great after-sales service and financing staff. All you have to do is let us know about your interest in the new Hyundai Accent. Our Nashua dealership’s staff will help you with the rest of the process.